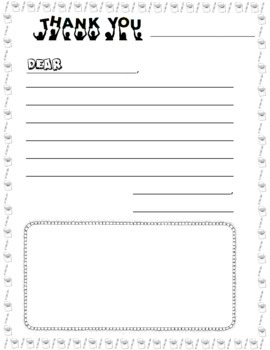 K-3 Elementary Thank You letter With Illustration Box. If you recently had a guest speaker or its the end of the year and you would like your class to thank any volunteers or aides, download this short thank you letter and illustration box. Your students can express their memories and feelings along with a fun picture to warm the heart of any recipients.